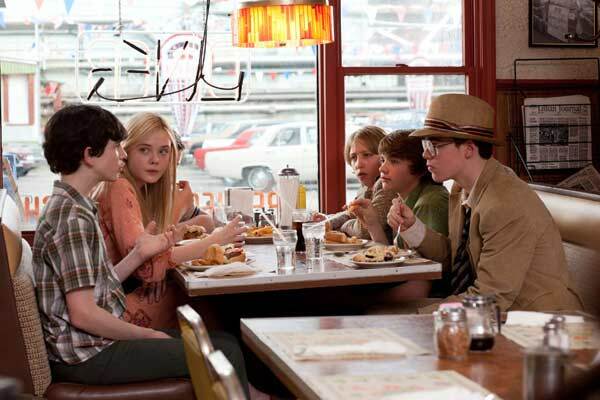 Elle Fanning, Ryan Lee, Joel Courtney, Riley Griffiths ©2011 Paramount Pictures. All Rights Reserved. The filmmakers discuss what they’ve seen. Photo by Francois Duhamel©2011 Paramount Pictures. All Rights Reserved. 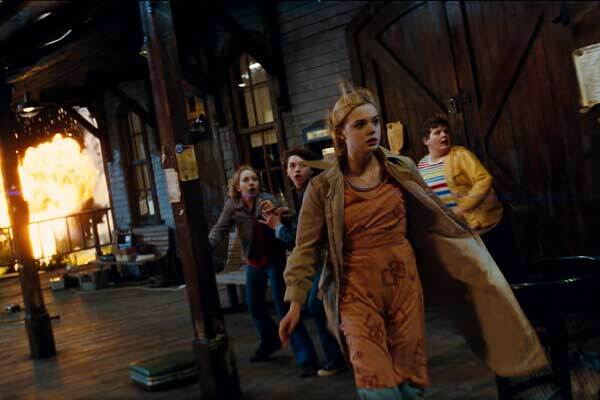 Alice [Elle Fanning] and Joe [Joel Courtney] study the strange element from the train wreck. <Photo by Francois Duhamel©2011 Paramount Pictures. All Rights Reserved. 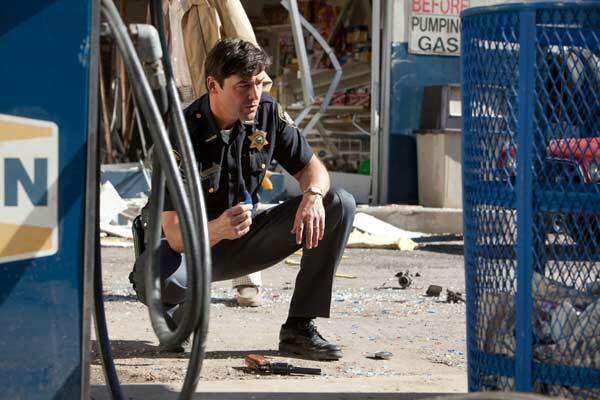 ©2011 Paramount Pictures. All Rights Reserved. 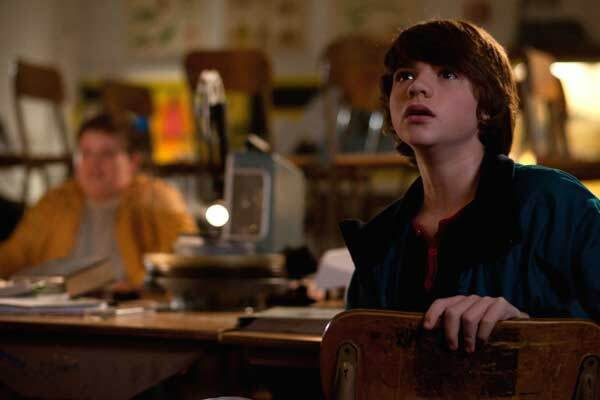 “…SUPER 8… feels at once nostalgic and uniquely new…"
Set in the time when Spielberg was first spinning his magic with films like CLOSE ENCOUNTERS and E.T. : THE EXTRA-TERRESTRIAL, SUPER 8 is an homage to the filmmakers of the period—from the inspiration of those films to the stumbling and thrilling first steps of nascent screen storytellers. Writer/Director J.J. Abrams collaborated with Set Decorator Fainche MacCarthy SDSA, Production Designer Martin Whist and their teams to bring about this coming-of-age tale that resonates for anyone of any age. “Since the character Charles was obsessed with film, monsters and magic, along with a passion to make movies, the set dressers kept adding more and more layers on layers. So much effort went into the authenticity of each set,” says MacCarthy. “Mike Coulter spent an entire day drawing monsters and ‘film sets’ for Charles’s ‘ideas’ for his movies. The desk became Charles’s editing station. Grant meticulously sought out the right movie gear from sources all over. Genelle and Min Soo Kim, our production assistant, hunted down leads on the phone, securing us original posters, magazines such as TEEN BEAT, 17, Super 8, etc. 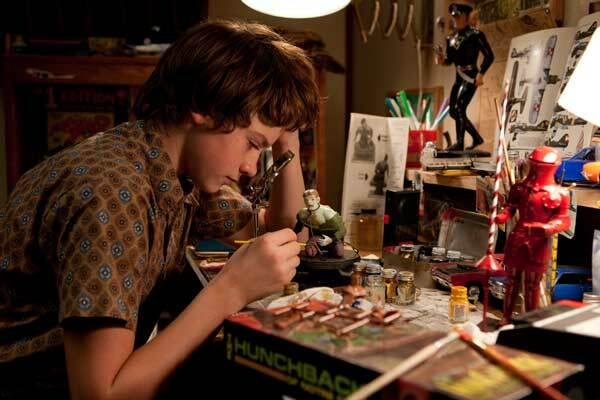 A lot of the dressing in the boys’ rooms developed naturally through all the prep that went into finding the right pieces.” Propmaster Robert S. Kyker brought in 70s-era models, including a Quasimodo model that Abrams remembered from his childhood. Weirton, West Virginia, the same place where the film THE DEER HUNTER was shot 30 years ago, filled in as the struggling small town in Ohio for SUPER 8. “We started dressing the street during our prep, as it was such a massive set—two long blocks with every store re-dressed for our time period,” MacCarthy points out. “We had furniture stores, a pawn shop, toy shops… We grabbed original photos from Weirton from June, 1979, which was exactly the month we were aiming for, and we combed through the shots to see what storefronts were there that year, and then re-created some of them. The townsfolk loved it and would come around in the evenings after another store had been dressed to see what we had done. The next day, a townsperson would show up in a truck with something they had dragged out of their basement that they were sure we should use. We always tried to put it in! 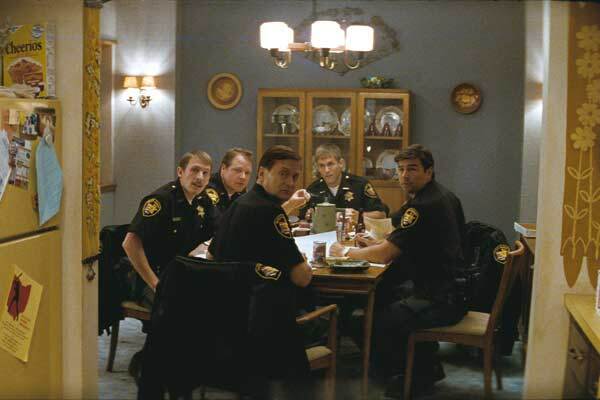 They were amazing people–they even included us in their Friday night potlucks. We pretty much all knew each others’ names by the time we left!